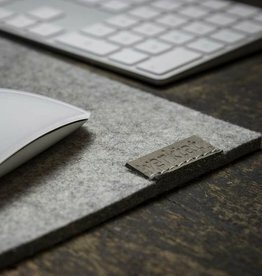 Felt desk pad in 5 mm felt thickness, the desk pad made of 100% virgin wool with the extra pleasant ambience at the desk. 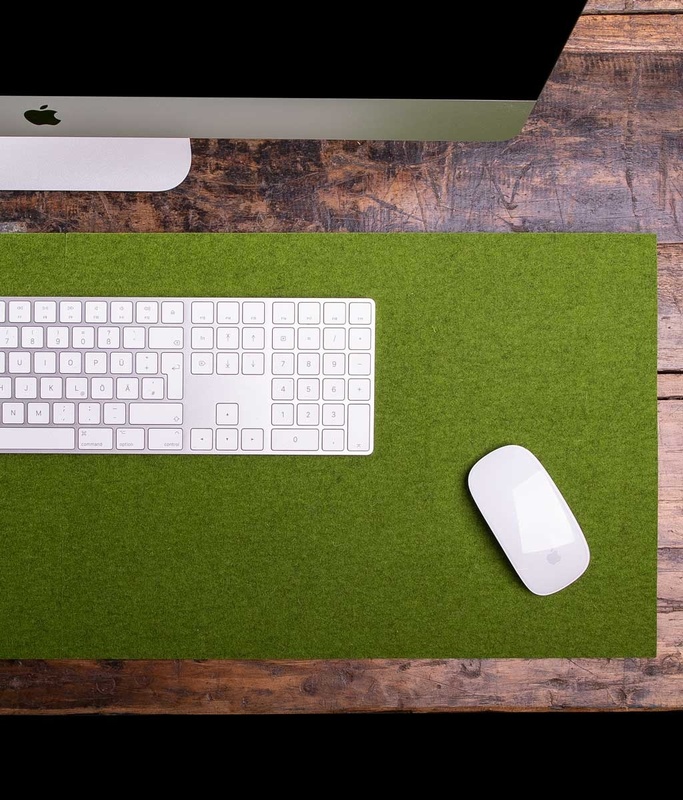 The pleasant felt surface for the desk pad is naturally soft, so you can work comfortably at your table. 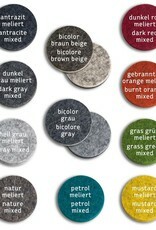 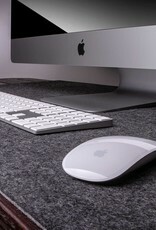 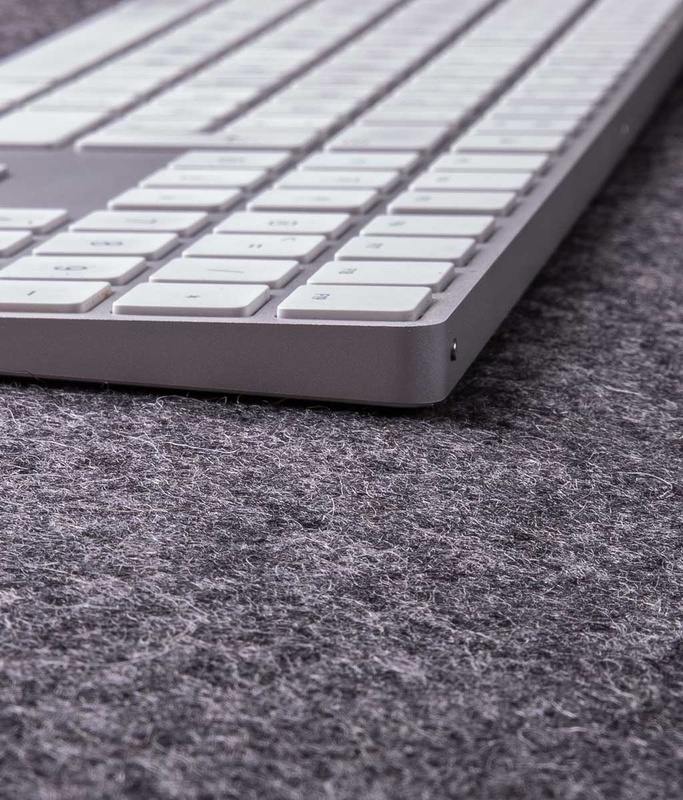 The wool felt for the desktop pads regulates the temperature and is pleasant in all seasons. 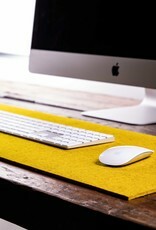 Use the felt mat for your desk as an extra-large mousepad: that's the end of the annoying mouse dragging. 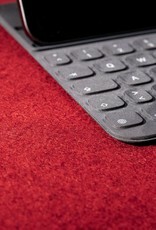 Gently place your devices - from the keyboard to the laptop to the tablet with pencil - on the desk rest. 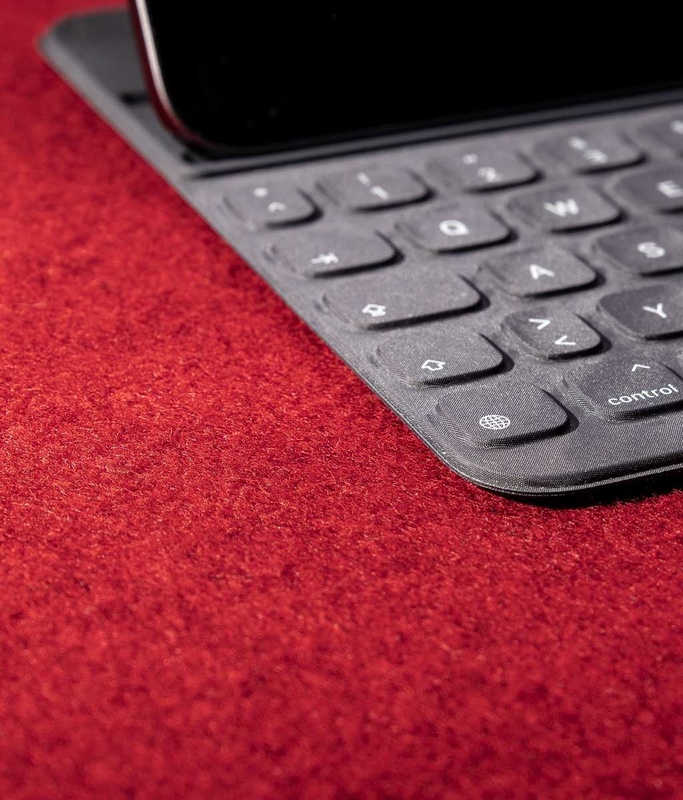 This not only protects the sensitive technology from scratches and abrasion, but also protects the desk surface so that everything stays beautiful for a long time. 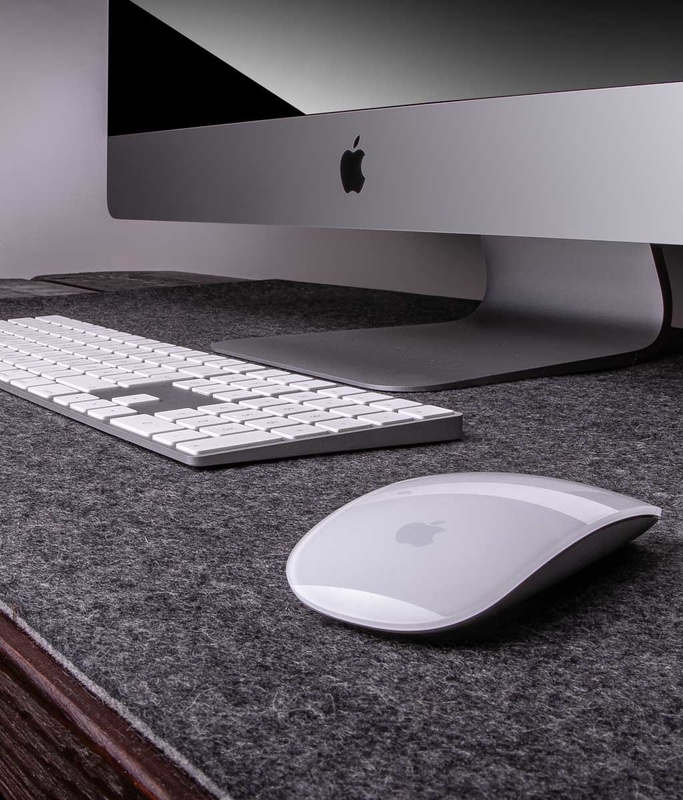 We manufacture your felt desk pads or desk pads from pure wool felt in your individual size with free dimension input: So you can plan your very individual desk setup. 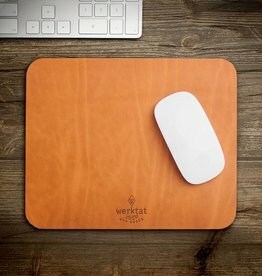 Optionally, your deskpad can be provided with natural latex on the underside. 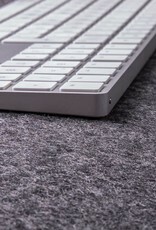 The latex is applied by hand and lasts better and longer than standard anti-slip coatings. 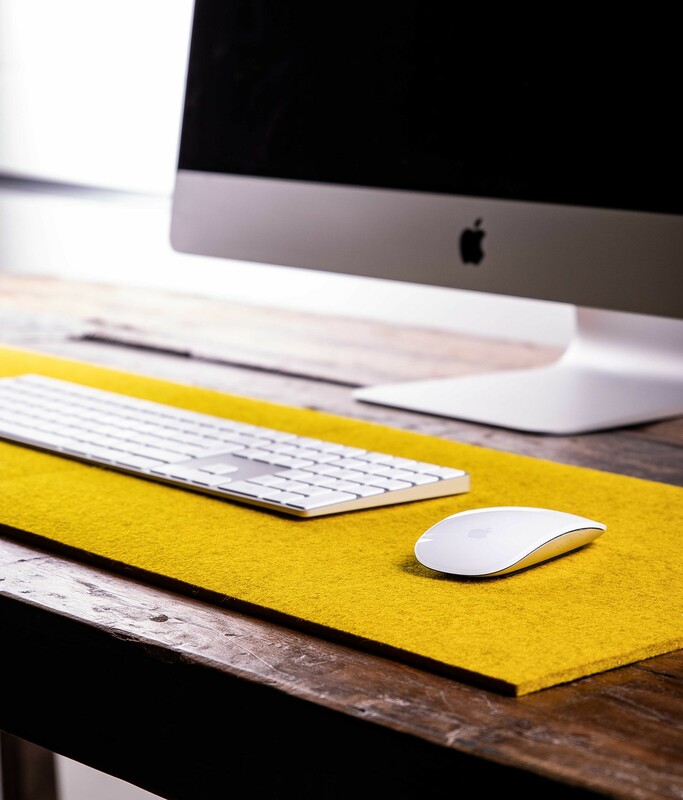 When selecting the anti-slip coating for the bicolour colours, please make sure you select the correct underside for your deskmat. 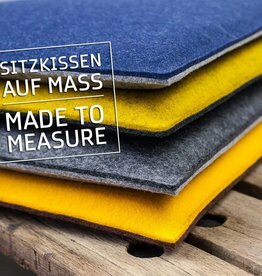 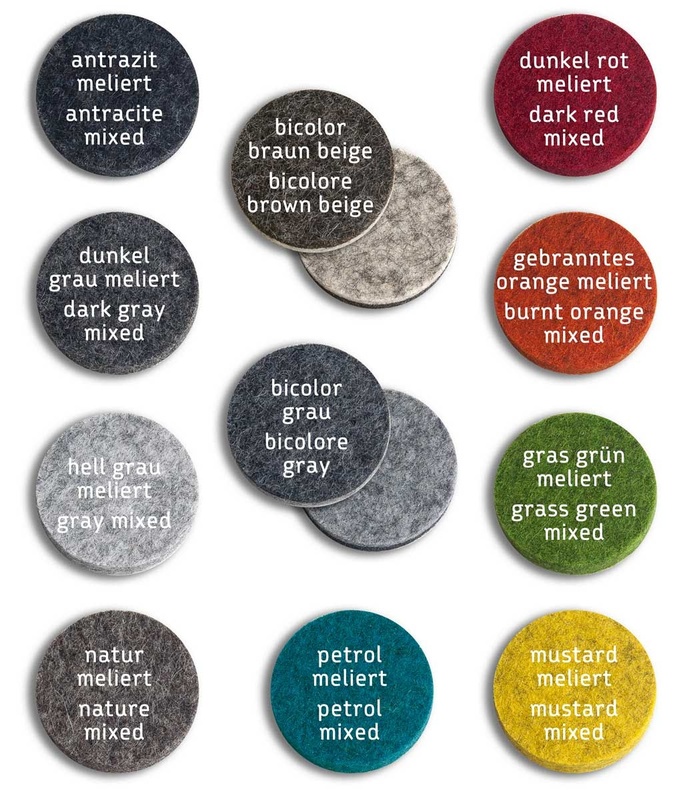 Wool felt is a natural product: Small inclusions of grass or straw in the felt are not a reason for complaint but a sign of an authentic natural product. 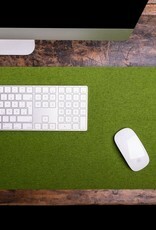 No frippery and ballyhoo ... just the finest merino wool felt.